We are asking 50 people to be that Ram in the Bush, to sow $50.00 or whatever the Lord places on your heart into The Nation Of Judah Church, as we embark on another Missionary Ministry to feed the hungry, Minister to the lost, and spiritual dying. We depend on the Kindness of Strangers, Covenant Partners, and others, to help as we go forth into all the world preaching and teaching the Gospel, feeding the hungry, visiting the sick and shut in and win souls for the Kingdom of God here in the U.S, and in Africa and India. God will get the glory through your financial support. All of the Programs here at The Nation Of Judah Church have a Kingdom Building Purpose, Vision and Mission, and the seed that you sow is tax deductible. Please Note: All donor information is confidential unless Donor gives express written permission to reveal or have their name published publicly. The donation forms, and credit card information, is protected by the Highest Level of SSL Encryption, not only through this website, but our merchant processor as well. 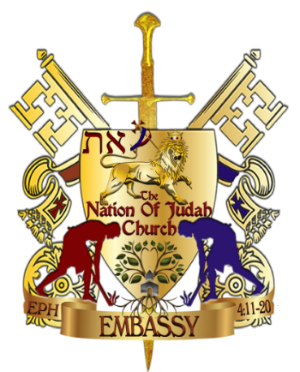 The Nation Of Judah Church does not have access to any of your payment information. Please select you seed amount below and follow the instructions. We thank you in advance for sowing into The Nation Of Judah Church. May God richly bless you for blessing us.